Located along the Blue River with 111 total units including 60 townhomes, 21 duplexes and 30 single family lots. Landscaping includes an association-owned pond on Legend Lake Circle. 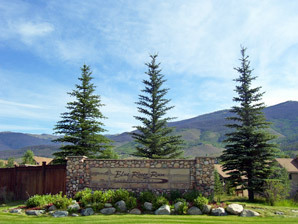 South Vista, Rocky Run, Range View, Mountain Vista and Creek Lane Roads are maintained by the Association. The Association also maintains the entrance signs, flower beds, Blue River Parkway fence and all common grounds. The 2019 Annual Meeting will be August 17, 2019 at 10am, located at Silverthorne Town Hall. The next Board meeting will be April 5, 2019 at SRG.